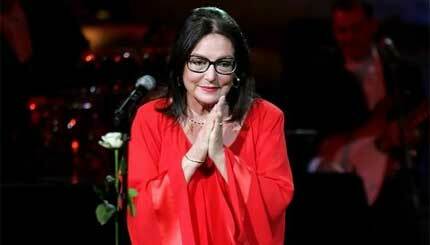 Nana Mouskouri, born Ioánna Moúschouri on October 13, 1934, in Chania, Crete, Greece, is a Greek singer who has sold nearly 400 million records worldwide in a career spanning over five decades, making her one of the best-selling music artists of all time. She was known as Nána to her friends and family as a child. (Note that in Greek her surname is pronounced with the stress on the first syllable - MOOS-hoo-ree - rather than the second.) She has recorded songs in many languages, including Greek, French, English, German, Dutch, Italian, Portuguese, Spanish, Hebrew, Welsh, Mandarin Chinese and Maori.